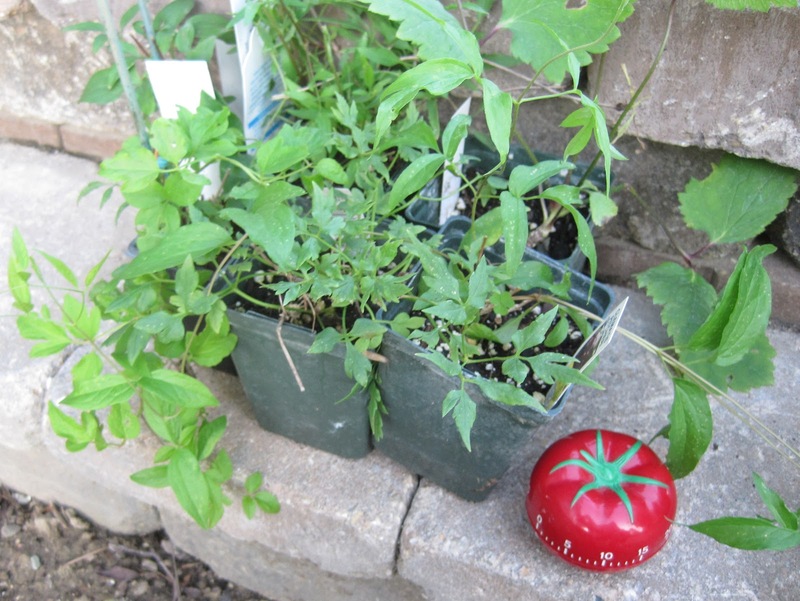 In a pomodoro, I can get a lot done in the garden. A pomodoro is 25 minutes, the unit of time used in a time management method known as the Pomodoro Technique. 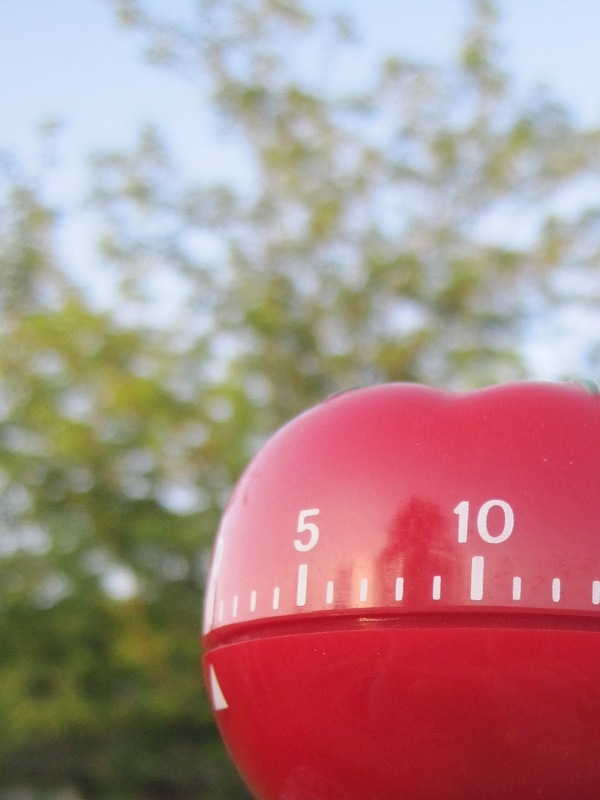 The idea is to plan to spend a pomodoro, 25 minutes, on a task, and then take a five minute break. Then move on to the next pomodoro and either a new task or the continuation of the first task. After four pomodoros, you can take a 15 - 20 minute break. Francesco Cirillo, who came up with this time management method, used a tomato shaped timer to keep track of his 25 minutes. 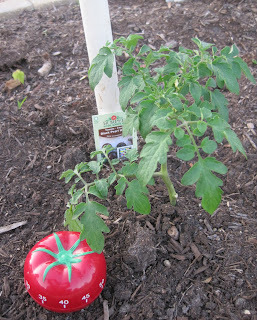 The Italian word for tomato is pomodoro, hence he called the 25 minutes of time a pomodoro. 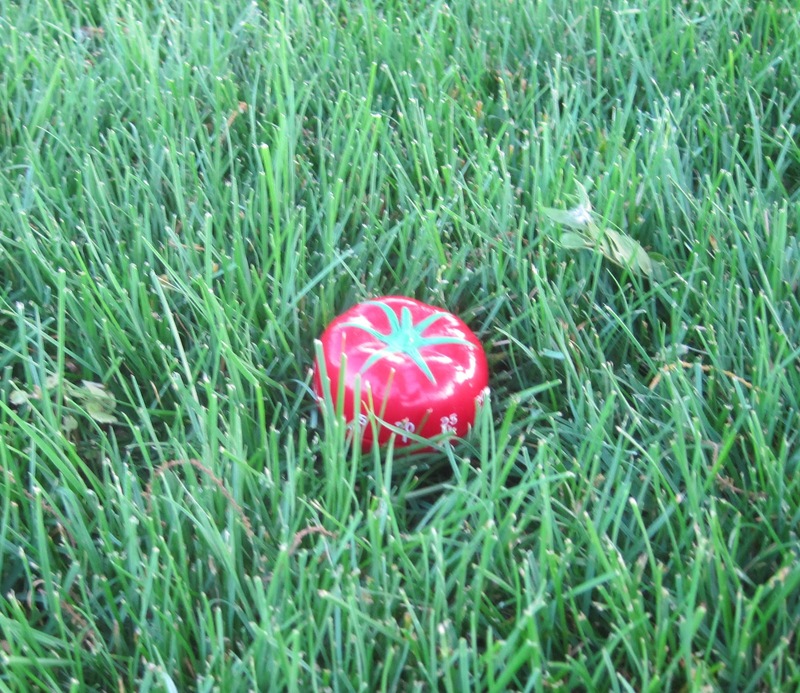 I've owned a tomato timer for several years without realizing that it was such a useful time management tool. But once I learned it was a pomodoro measurer, I decided to take my tomato timer, my pomodoro timer, out to the garden. 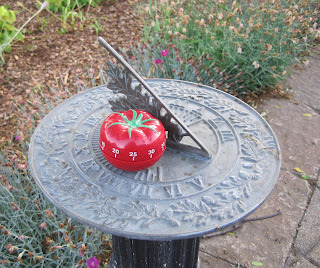 What can I do in the garden in a pomodoro? 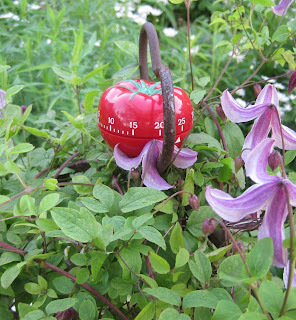 Surely, I can plant out these clematis throughout the garden in a pomodoro? Then they can grace my garden with flowers like Clematis 'Pagoda'. 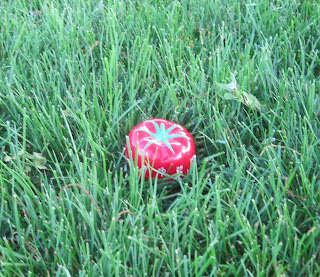 I think it takes me a little less than a pomodoro to mow the front yard. And maybe just a little longer than a pomodoro to mow the back yard, if I hurry. I don't know how many pomodoros I need to spread some mulch in the garden, but it seems like it will take a day full of pomodoros. Who knows? I planted out the tomatoes in the garden a few evenings ago. I don't know if it took me a pomodoro to do it, because I was also planting peppers and I was in a hurry because the sun was setting. Some gardeners might object to using time management in the garden. They don't want to feel rushed, like they are constantly trying to beat the clock, or the pomodoro timer. They just want to take their time and enjoy the experience. 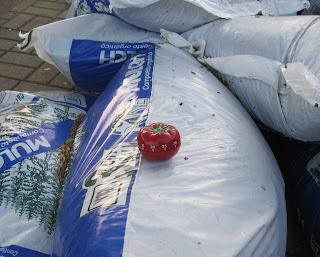 Perhaps, then, we can use pomodoros outside of the garden to get more done before we go out into the garden. Then maybe, just maybe, we will have extra time to sit for a pomodoro and enjoy the garden. My timer is not shaped like a tomato but will work just as well if I actually set it. I like this concept and have used it although 15 minutes at a time (usually reserved for house pickup). I may try it with garden tasks. 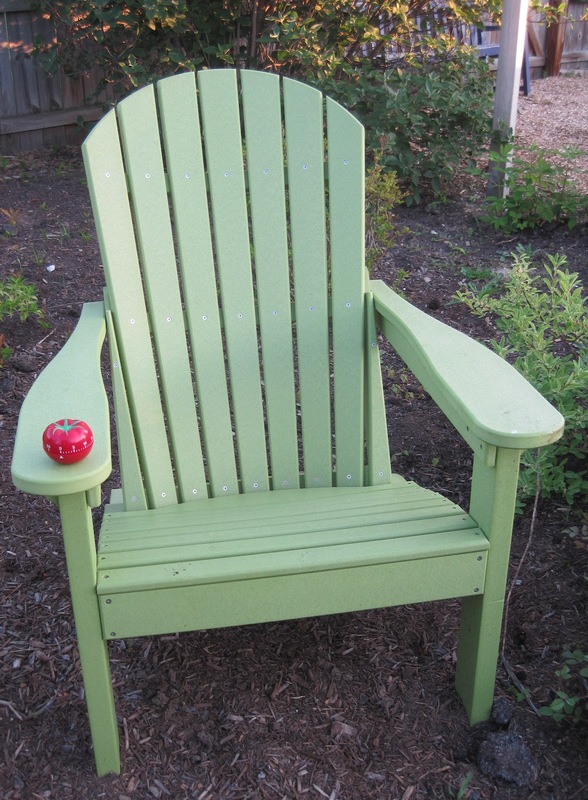 Your timer looks great on the arm of the green chair. This would probably be a good practice to enlist. I tend to get working and totally loose track of how long I've been until I can't move! Even one pomodoro a day will have a cumulative effect. I learned that when my kids were little, and nap time was all the time I had to work outside. It's a useful concept for people who get overwhelmed by how much there is to do. My computer is programmed to turn itself off for five minutes every hour. That's just a longer pomodoro. As I watch my neighbor move around in her yard, I can see she uses this method as a natural part of her gardening. I on the other hand really should use the pomodoro or maybe I need someone to just stand on the patio and throw a tomato at my head every 25 minutes to get my attention. Love you blogs. A pomodoro a day keeps the HOA away. I also set my timer on my phone for 15 minutes. I mostly use it for weeding, but am amazed at how many weeds I an pull up in a short period of time. 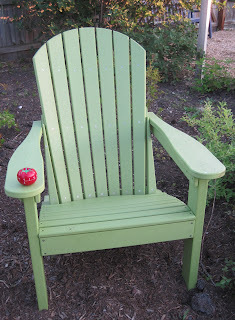 What a cute idea -- for time management, and for a post. Love it! And it sure is fun to say "pomandoro!" Thanks for sharing your time management system. I, too, have a tomato-shaped timer from the Food Network, which of course I use in the kitchen. Alton Brown (of Food Network's Good Eats) would be impressed that we've found multi-tasking tool for the kitchen and garden.